Custom Invoices, Automated Follow-Up, and Online Payments. Biller Genie makes collecting money from your customers fast and easy. Biller Genie in less than 60 seconds. Fully integrated to QuickBooks Desktop and Online! 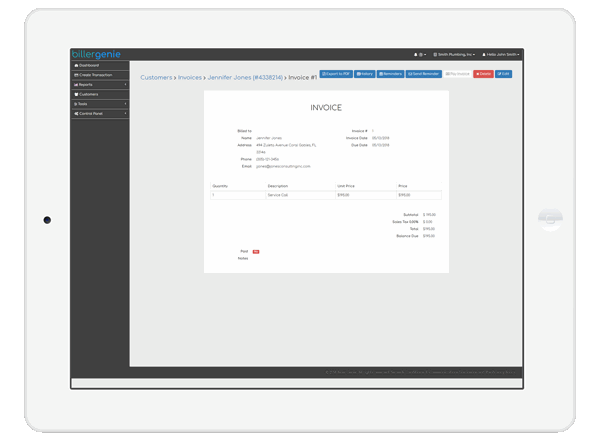 Biller Genie streamlines the invoicing and follow-up process. Biller Genie empowers you to effectively manage cash flow by automating and standardizing your invoicing process, eliminating duplicate data entry, and centralizing reconciliation. This saves time, minimizes errors, and greatly reduces the number of people required in billing process – so you can spend less and get back to what you do best. 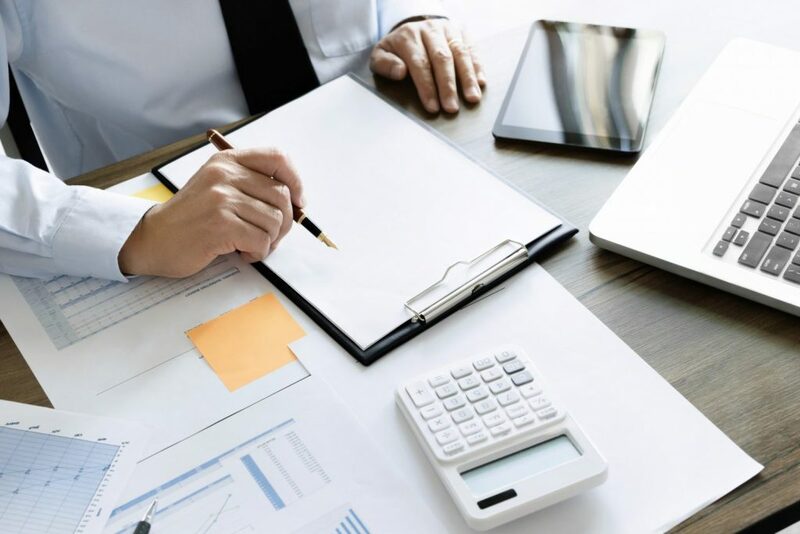 Biller Genie connects with major accounting software programs like QuickBooks. Easy, one-click synchronization with QuickBooks enables Biller Genie to pull all invoices and customer data so you can start automating your accounts receivable within minutes. From start to finish, from the first invoice to the last payment – Biller Genie works with your accounting software in real-time to manage and track the billing process. Biller Genie offers automated and branded billing communications. Branded invoice templates and unlimited customizable payment reminder emails. Biller Genie can keep you in constant contact with your customers in a professional manner through automated invoices and outstanding balance notifications set to intervals that work best for you. Biller Genie helps you charge and process payments. Easily process credit and debit card payments with Biller Genie’s virtual terminal and accept payments from customers via your own branded payment page. Biller Genie removes barriers to payment collection with secure, online point-to-point encryption payment processing and automatic reconciliation with your accounting system. No fees when you take checks or cash and you only pay an industry best flat-rate of 2.90% + $0.25 per transaction* for invoices paid with card. Biller Genie automatically sends invoices and collects payments. Let your customers and clients pay you online in no time. With Biller Genie, create a branded and secure online payment portal for your business and make it more convenient to collect the money you’ve earned. Ever wish you could get paid faster? Now you can. Biller Genie is always free to send custom invoices and automated payment reminders. If you activate the optional integrated payments account, you must complete the online application and be approved based on the sponsor bank’s underwriting requirements. While there are no fixed monthly fees associated with the payment account, there is a $25 monthly minimum while your account is active. We also make it very easy for you to complete your annual PCI Self-Assessment Questionnaire (SAQ) which is required by the card brand associations. We provide free access to our easy-to-use online system to validate your compliance each year, and require that you do so within 90 days of setting up your payment account otherwise a monthly penalty of $34.95 will apply each month you are non-compliant. You can cancel your payment account anytime and continue to use Biller Genie for free to customize your invoices and send payment reminders. Leave traditional broken processes behind! 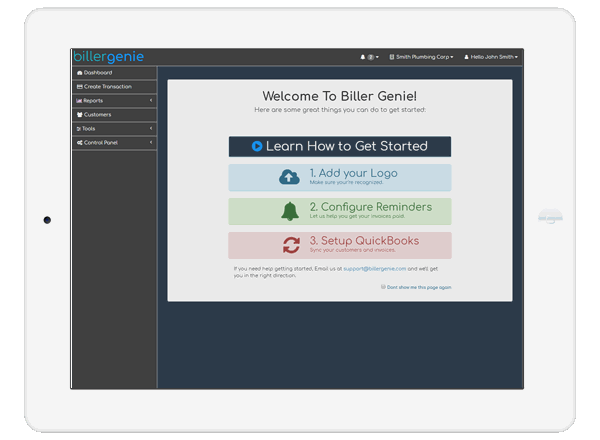 Accelerate your cash flow with Biller Genie! 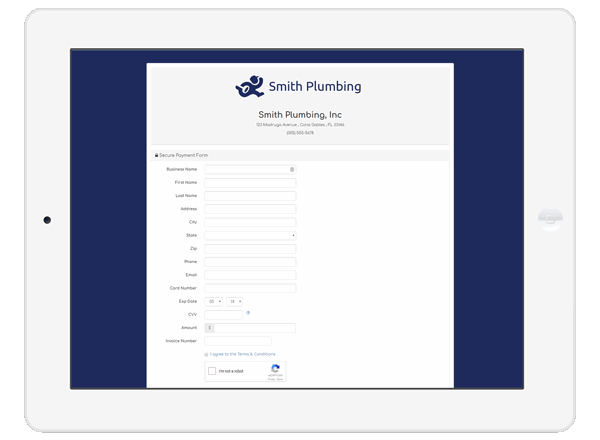 Automatically send invoices when they are created, without having to take any actions. Biller Genie provides a self service online payment portal so the customer can make a payment effortlessly at their convenience. Keep creating your invoices the same way you do today. Biller Genie syncs your invoices from QuickBooks so you don’t have to enter them multiple times in different places. Get your customers’ attention. You can send gentle reminders a few days before the invoice is due, on the payment due date and, if necessary, after the account is past due. Automatically synchronize your past successful payments in Biller Genie to QuickBooks so you don’t have to do it yourself. Advanced automation for stress-free billing and collections. Everything you need to get paid faster. Whether you’re a business owner, a solo entrepreneur, or an accountant – Biller Genie automates the process of getting paid. With a robust virtual terminal, hosted payment forms, and the ability to securely store payment methods on file, Biller Genie has more of the features you need to make it easy to collect payments from your customers. 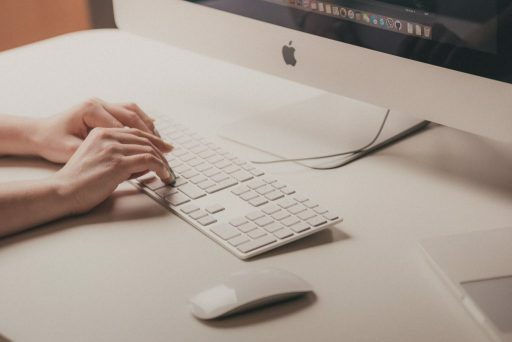 Biller Genie works great on its own, but connect it with QuickBooks to eliminate duplicate data entry and reconciliation issues caused by doing the same work in multiple places. 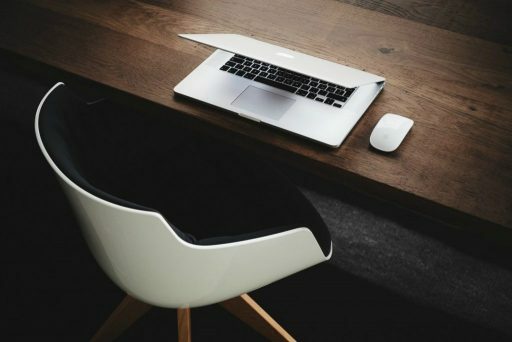 Email reminders are a great way to get your customers’ attention. You can send gentle reminders a few days before the invoice is due, on the payment due date and, if necessary, after the account is past due. 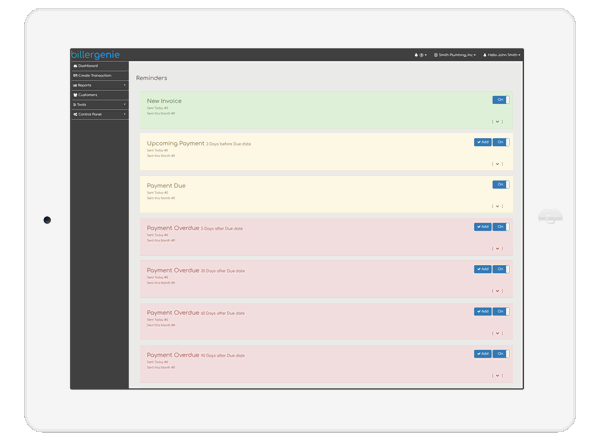 Biller Genie will include custom messaging in your invoices and reminders to ensure your customers are aware of your late fee rules and will automatically calculate and add them to your invoices each period. The customer portal allows your clients to store multiple payment methods and view payment history in a secure online portal that is white labeled with your branding. 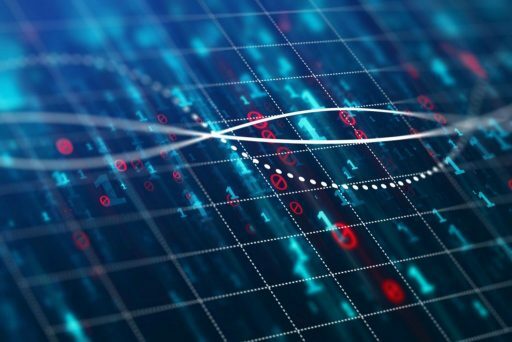 With a single flat rate that is among the industry’s lowest and transactions that are secure, tokenized and encrypted, Biller Genie is PCI Compliant so you can have the peace of mind knowing your customer’s data is protected. Try risk free. No setup fees. Cancel anytime. Free to use, just pay to process. That’s it. Biller Genie is free to schedule & send unlimited email reminders with your company’s branding and you sync your data with QuickBooks. Have questions or need assistance? We’re here to help. 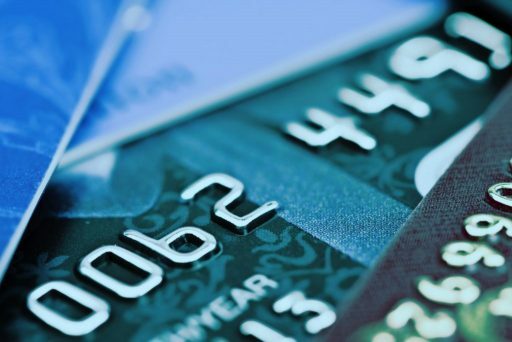 Approval of merchant account required and is contingent upon sponsor bank’s underwriting requirements. $25 monthly minimum fee commitment. PCI Compliance Program is free of cost. However, failure to complete the Self-Assessment Questionnaire (SAQ) within 90 days of account approval, will result in a $34.95 monthly non-compliance fee until compliance is validated via completion of the SAQ.